I’ve lived in Sydney for the last five years, but I grew up in South Australia in the country. When I finished university, I decided that I would not stay in Adelaide, which is where I studied, and I got a job in Northeast Victoria working in the local health service there. I stayed there for a couple of years; I’d planned on a year, but I really liked the job and the people, so I stayed longer. And then I moved down to Melbourne for about a year before moving up to Sydney. I’ve always been interested in food and nutrition and how food impacts on the body, and I’ve got food intolerances myself to some degree, which is part of where that interest has come from. I also really like helping people, so when my mum suggested that I study nutrition, I was like “Oh yeah…maybe that’s a good idea.” I started out in a bachelor of health science, and then decided that “Yep, I think nutrition’s the right way.” At that point in time, Flinders did a thing where you could transfer straight into the third year of the bachelor of nutrition and dietetics once you’d finished your second year of health science. So, that is what I did. How long have you been in private practice for? I’ve done private practice since I moved to Sydney, but I was doing a little bit of it when I was in Melbourne as well. I’m working at Balmain Sports Medicine and at Redfern Physiotherapy as a contractor, and I also do quite a lot of Skype and phone consults from the office at home as well. It’s a nice mix. I quite like the phone and Skype consults because I really like the geography, or the time it takes to get to appointments not having to be a problem for people. I think it is due to growing up in the country, then working in the country and recognising that there’s not always going to be the person who specialises in your area of expertise where you live. I like to be able to take that barrier away for people. Are most of those Skype and phone consults with athletes or people with food intolerances? Both. I’m working with an online triathlon team, called MaccaX. And those are clients from literally all over the world, which has been fun. It is a little bit of a minefield with time difference, but there’s this cool website called Time and Date, and it lets you look at two locations and the time difference. It makes it a lot easier to schedule. Most people have come via word of mouth, or are people who have found me through my blog or my Instagram. What type of clients do you see with Balmain Sports Medicine and Redfern Physiotherapy? Again, it is a mix. Most clients that I see are people with food intolerances, auto-immune conditions and athletes. But I still get people who are just genuinely worried about their health and wellness, wanting to lose weight, that sort of thing; but more and more, it’s the first three disciplines. How long have you been running the FODMAP challenge for? Do you feel like it’s helped build your reputation for your expertise in that area? I started that around June/July last year. It’s been going well and I’m really pleased with how it’s growing. I think it has helped to build the reputation. However, that wasn’t the goal at all! I’d noticed that people were looking for information online, but they didn’t want to pay however much the dietitian was charging to come in for one-on-one consultations because there is so much information available. So, they try to do it by themselves, and usually remove everything and go “Oh, I feel better.” And that would be about as far as they’d get. I thought if we can remove everything and then go through that challenge phase, then that will then help individuals know what their triggers are so that they can more easily reintroduce the foods that they’re not intolerant to. Long-term avoidance can have a profound impact on gut bacteria and several other things. It is important to reintroduce foods if possible. Do you feel like that’s one of the ways dietitians can help the most? Like you said, a lot of information is available online, but it’s hard to have the guidance and the motivation to stick with it and do the first phase 100% properly, but then also slowly reintroduce foods back in the proper manner. Yeah, definitely. We have a private Facebook group where I do a live chat every week during the challenge. We’ve got a very lively discussion happening now and it’s lovely to see people starting to chat to each other and make friends with each other. That was a big part of it as well because I know how socially isolated a lot of people feel when they’re going through the process, so knowing that there’s other people around makes it all feel a bit easier. I just ran a FODMAP dinner up here this week, and that was a big part of the reason for wanting to do that as well. I know people often don’t go out for meals and decide to skip things because they purely just go “Oh, I just… I don’t want to go home feeling unwell. I don’t want to make a fuss. I’m just not going to go.” And it can end up being quite socially isolating. That’s a big part of how I like to be able to help people. As dietitians, I think that we need to be helping educate people on the importance of determining triggers and then reintroducing foods. It’s not hard to download all the FODMAP foods or download the Monash App and go “Okay, well this is what I can have; this is what I can’t have.” Most people can do that easily on their own. The issue comes with the next part. What’s your nutrition philosophy? And what do you do with your own diet? I like to focus on mostly plant-based minimally-processed food, most the time. If I kept a food diary, you’d be like “Oh, your breakfast is really boring. You eat the same thing every single day” with just a bit of variation. It’s usually oats with some nuts and usually some banana. And then either milk or yoghurt, depending on what I feel like on the day. Lunch will invariably be a salad with some form of protein, usually some chickpeas. And then, in the evening, that’s when I tend to try to get a bit more creative. As I mentioned, I have food intolerances. For me, it’s eggs, salicylates, amines and dairy. Luckily for me I’m at the more mild/moderate end of the scale with these. Whilst it can be frustrating, I’m quite lucky in that I’m not so sensitive that I can’t manage it. I can sort of get away with almost eating what I like if I’m aware of what I’m having, most of the time. And I think that’s one of the reasons why I like working in the area so much is because people often think that “I can’t have anything if I’m intolerant to it. I’m never going to be able to have it again.” I really like being able to encourage people to reintroduce to a point where they still feel okay. I also think indulging sometimes is important too. People often think, as dietitians, we only eat well all the time. But I don’t think that’s the case for most of us; I think we all like to have our treats. I think it’s important to include those and indulge and enjoy your food as well. What is your take on reducing inflammation through diet? That is an interesting topic for me as I helped write a book about it last year. One key point is to eat mostly plants, and I guess that’s part of why my food philosophy is what it is. Eating plenty of different vegetables; lots of different colours. I like to refer to it as a kaleidoscope of colours. Getting all the different colours, means more of the different polyphenols and antioxidants and that sort of stuff. Paleo is sometimes referred to as an anti-inflammatory diet, however legumes are also important. There’s been a few studies that have shown eating legumes on a regular basis can help with reducing inflammatory biomarkers. Obviously, they need to be cooked properly and prepared well so that they digest properly, but I think that they’re an essential part of an anti-inflammatory diet, if the person tolerates them well. If it’s somebody with IBS and they don’t tolerate them well at all, then I won’t be recommending that they eat anywhere near as much as somebody who can tolerate them. Then we hear a lot about turmeric, and there’s a decent amount of research backing that. A bit more research would be great, but there’s no harm in including it. If you look at most fresh herbs, like parsley, basil and rosemary, they’re all quite nutrient-dense as well for the amount that you use. So, it makes it a bit easier to get a few more vitamins and minerals in too. Fish is an important part as well, mainly due to omega-3 content because of the role that omega-3 plays in reducing inflammation. Particularly in people, with something like rheumatoid arthritis, there’s a lot of evidence that shows that fish oil helps. Adding onto that: nuts, seeds, avocados, olive oil all have healthy fats can have positive anti-inflammatory effects. Plenty of water as well as less processed refined sugars, fats, alcohol, sugar-sweetened beverages can also contribute too. Then we have dairy. There was a big systematic review that came out recently that showed that in some cases, dairy can help in reducing inflammation, which was interesting given that it’s often being claimed to increase it. If it’s somebody who is allergic to dairy then it’s not a good idea, but that’s not rocket science. I think it can be included as part of a healthy diet. That said, if someone doesn’t feel good after eating it, there is plenty of different alternatives. From my perspective, an anti-inflammatory diet is just a generally healthy diet. Low GI carbohydrates can also help. Some of my favourite ones to include are things like rolled oats, buckwheat, quinoa, brown rice, barley; and some of those have gluten and some of them don’t. Some conditions don’t work as well with gluten as others, but most people can eat it without any problems. There’s some evidence that shows that with some inflammatory conditions, some people benefit from avoiding gluten. I wouldn’t normally remove it as my first thing I did with a client. It would be “Well, we’ve made your diet a lot healthier, you’re eating really well. Let’s see if we can help you to feel a little bit better,” if they’re still feeling like they’re not feeling well enough. I’m not saying eliminate entirely, it’s just “Let’s try using some gluten-free grains over gluten-containing ones, and see what happens.” Unless it’s someone with Coeliac disease, I don’t think it’s necessary to be entirely gluten-free. Chloe is an Accredited Practicing Dietitian and Sports Dietitian who loves motivating her clients to make health changes to be the best they can be. 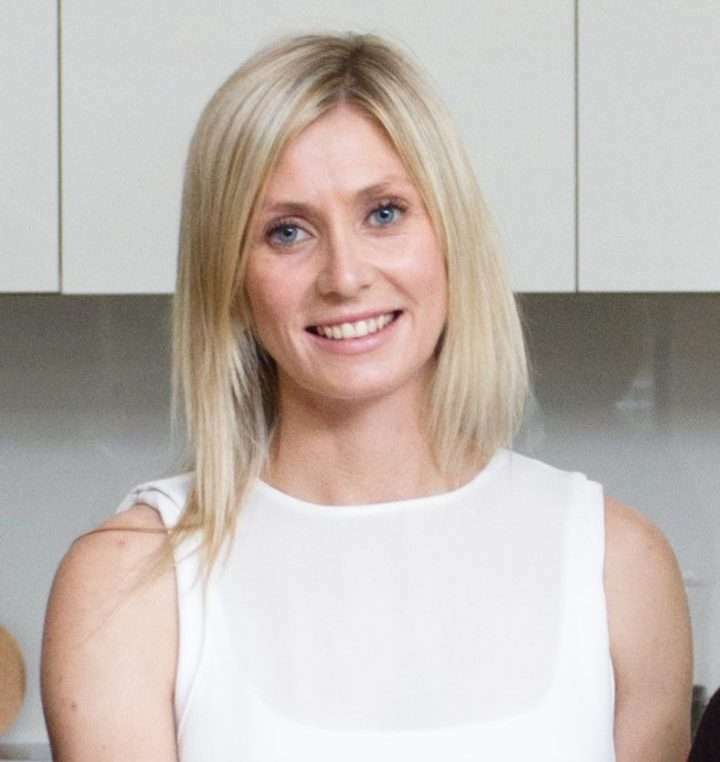 She specialises in nutrition for arthritis and inflammatory joint disease, irritable bowel syndrome (particularly the FODMAP approach), food intolerance, and sports nutrition. Should You Listen to a Celebrity's Nutritional Advice?